Whatever you are up to this weekend we have plenty of opportunities for you to come and meet the church. At 10.30 am you can join us at the Winding Wheel in Chesterfield, at the Village Hall in Stretton or at Firs Gardens Community Centre in Alfreton for a great time of worship and Bible teaching. 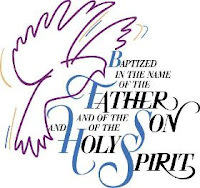 At 3pm we are having a baptism for Liz at Holme Brook Valley Church, off Wardgate Way, Holme Hall. Everyone welcome. Cafe Church will be open 6-7pm at the Compass, West Bars. Join us for coffee, followed by worship and Bible teaching from Ben Bentley.